In this innovative book, a well-known feminist and sociologist-who is also the founding editor of Gender & Society-challenges our most basic assumptions about gender. 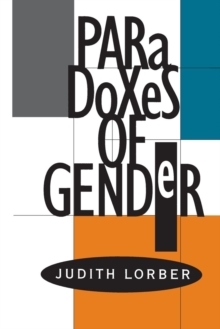 Judith Lorber argues that gender is wholly a product of socialization, subject to human agency, organization, and interpretation, and that it is a social institution comparable to the economy, the family, and religion in its significance and consequences. Calling into question the inevitability and necessity of gender, she envisions a society structured for equality, where no gender, racial ethnic, or social class group is allowed to monopolize positions of power.